A council leadership contender has vowed to create a regional sovereign wealth fund to invest in Birmingham businesses, housing and infrastructure. 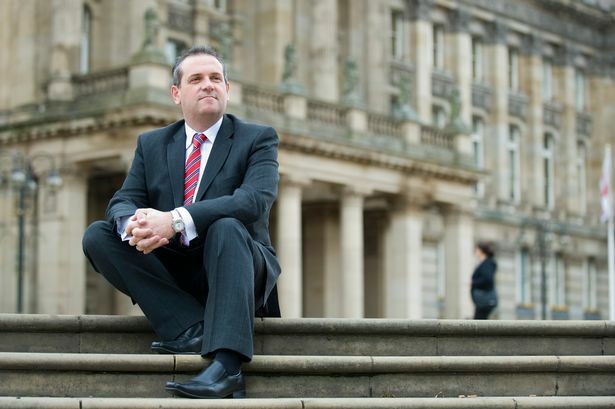 Coun John Clancy, who is front-runner in the battle to succeed Sir Albert Bore as leader, wants to "sweat" the council&apos;s £5-£6 billion land and property assets to build and support jobs, economic growth and housing in the region. In his detailed manifesto, he says: "This would use our physical asset base to generate capital spend in building housing and investing in business, jobs and infrastructure across all wards of the city, to generate economic growth city-wide. "We must use it to ensure thousands of affordable homes are built each year over the next decade in this city. "The uplift from growing our economic base, especially in the context of retained business rates, would be kept by the city itself, helping our revenue position medium to long term as well. It will fight poverty at its roots." His rivals in the Labour leadership election, to be held on November 23, are the current deputy leader Ian Ward and backbencher Barry Henley. He also made a pitch to the business leaders: "We need to find new and creative ways for inward investment and local investor development to build businesses, housing and infrastructure which makes us all thrive as employees, business owners, charities, third sector enterprises, social enterprises, mutuals and co-operatives - in every place. "Financial and commercial services and attracting major employers and businesses are key to building our city and we have done that well. "But we have not yet begun to build an all-ward strategy of smaller business growth to complement this. We must do so and show that every business matters to this council." Coun Clancy, who is making his fifth formal challenge for the Labour group leadership, also promises to sort out the £20 million-a-year cost of the Library of Birmingham, arguing that universities and others should be brought in to help run it. He also wants to introduce free school meals for all infant and junior age children at council-run primary schools, tear up the council&apos;s costly Capita-Service Birmingham contract and bring in a West Midlands IT firm, further open up the council&apos;s budget process, review the £45 million-a-year fees paid to the Local Government Pension Fund and set up a commission to look at tackling poverty and deprivation in the city. The manifesto is the most detailed of any candidate so far - but rivals have pointed out that this is not a public election but one for the 78 councillors who already agreed a manifesto before the last local elections.